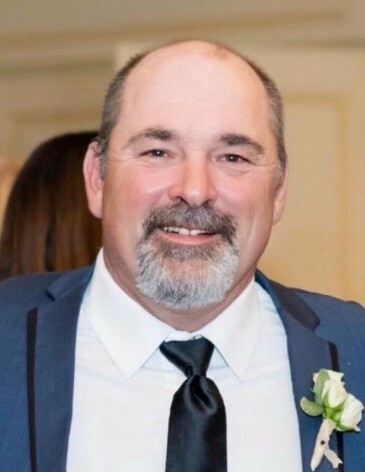 John Stanley Kasik, 56, of La Salle, died unexpectedly at home on August 13, 2018. Mass of Christian burial will be 12:00 PM Friday in St. Joseph’s Church in Peru with Rev. Jacob Rose officiating. Burial will be in St. Valentine’s Cemetery. Visitation will be in the church on Friday from 10:00 AM until time of services. The Hurst Funeral Home in La Salle is handling his arrangements. John was born in Peru on August 17, 1961 to Stanley and Frances (Ahcin) Kasik. He married Lynda Mattioda on August 3, 1985. He retired from Sheet Metal Local #1. John loved his family, friends and being a grandfather. He enjoyed riding his motorcycle, skydiving, and living life to the fullest. John is survived by four children, Dr. Connor (Anna) Kasik of Pittsburgh, PA, Kendall (Neal) Hodges of Ladd, Cal Kasik of Denver, CO and Keegan Kasik of Denver, CO; one grandson Harlen Hodges of Ladd; five sisters, Kathy (Bob) Johnson of Peru, Patricia Kaiser of Delaware, Mary Ann (Bob) Woodshank of Utica, Rebecca (Bob) Bunzell of Utica and Susan (Richard) Johns of Oglesby. He was preceded in death by his parents and a brother-in-law Ed Kaiser. | 236 W. Pine St.
| 103 E. Elm St.
| 405 S. Oak St.